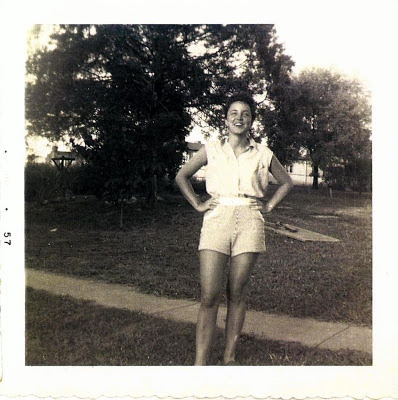 This past weekend, I was visiting with my grandparents and conversation turned to stories about my childhood. I was the only grandchild on that side of the family for the first 13 years of my life so my grandparents pretty much gave me their undivided attention. The main thing I did at their house was play with Barbie dolls. 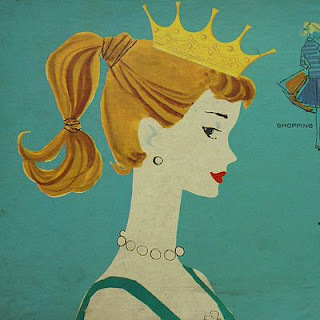 My grandma was my Barbie playing companion, spending hours upon hours sitting cross legged on the floor of my bedroom with only the occasional cigarette (hers) or Hydrox Cookie break (mine). Her soap opera of choice was "The Guiding Light" so that provided inspiration for many juicy story lines to reenact with the Barbie dolls...between Alan-Michael Spaulding and Reva Shayne Lewis Lewis Spaulding Lewis Cooper Lewis Lewis (9 marriages, only 7 men), there was no shortage of intrigue, kidnapping, mistaken identity, and the like in our land of Barbie make believe. The first Barbie dolls I ever got (c. 1984) were Sun Gold Malibu Barbie & Ken. These were the only dolls who retained their original monikers...all subsequent male and female dolls after that were given new names to match their personas (as my grandma and I perceived them). 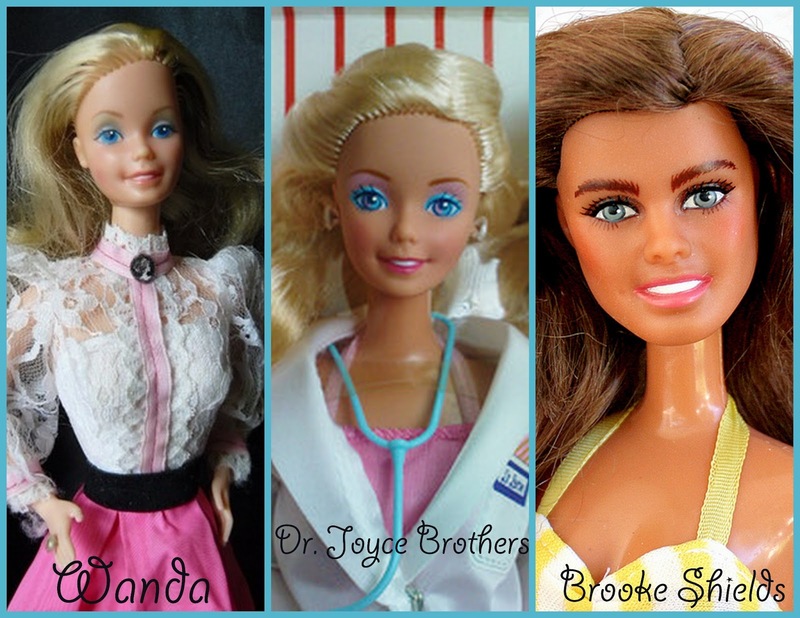 There was "Wanda" (Barbie's best friend), "Meggy" (an unfortunate looking off-brand fashion doll who also served as Barbie's nemesis), "Dr. Joyce Brothers" (Doctor Barbie...naturally), "Brooke Shields" (remember when she had her own doll?) and "Lee Ann" (named for a character on another popular soap opera One Life to Live...played by Yasmine Bleeth in her pre-Baywatch days). And those are just a few. Anyway, I loved playing with my Barbies. I loved imagining all the stories and adventures that felt so real to me. 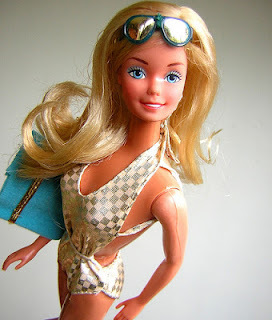 Some people say Barbie isn't a good role model for young girls because of her unnaturally small waist or the fact that she's so obsessed with clothes. I never considered those things. My Barbie ran her own business, was mayor of the town and still had a kind, handsome husband (Ken) to come home to. She wasn't limited in any way nor was she a stereotype. On some level, I saw myself with these same unlimited opportunities. I played with other toys, but my Barbies were the bees knees as far as I was concerned. Sometimes I played Barbies with friends my own age, but it was never quite as fun as playing Barbies with my grandma. I treasure those memories like nothing else. Childhood goes by in a flash...we only have such a short amount of time when imagination and play are encouraged. This makes me so sad. I'm not saying I want to play with Barbies as an adult, but I think it's so important to engage in things that capture those same elements of reckless creative abandon...dreaming of dreams, believing in impossible things, and maybe a ride around the bedroom carpet in a pink convertible.